It took me very few paragraphs of Eleanor Oliphant by Gail Honeyman to come to the conclusion that I was likely to enjoy it. Eleanor is such a good character. There is a thin illusion of normality with her however you quickly realise that this is far from the truth. The story feels powerful and understated. The reality of her isolation from the “normal” world becomes uncomfortably apparent. Once I’d got over the initial feelings of discomfort about the way her life was I really did find this book ridiculously compelling reading. I do actually mean it when I use the word “ridiculously” too. The humour – her take on life – is simply so dry and funny at times. I have to say that rarely has a funeral been so amusing and sad at the same time for example. 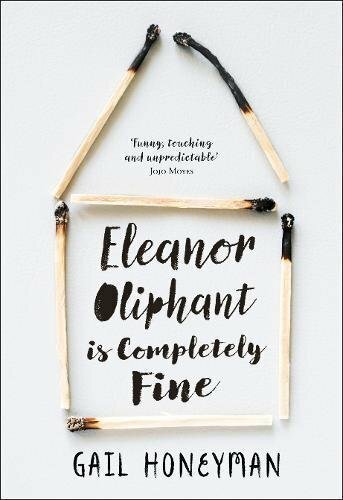 Eleanor is surviving – just – however it is only on the fringe of what most of us would call “normal life”. I almost always take notes as I read books that I review however, with this one, I simply go so caught up in the writing the notes became rarer and rarer. The quality of the writing here is very good and used very effectively. The roller coaster that is Eleanor’s life plays out for us. At times we are spectators at a car crash, at times we shed tears – sometimes but not always of laughter. Eleanor is a wonderfully envisioned character. The other main character is Raymond who I also thought was very good indeed. The other people who appear in the book do the jobs they need to well. I loved this book and I want to read another one by Gail Honeyman.